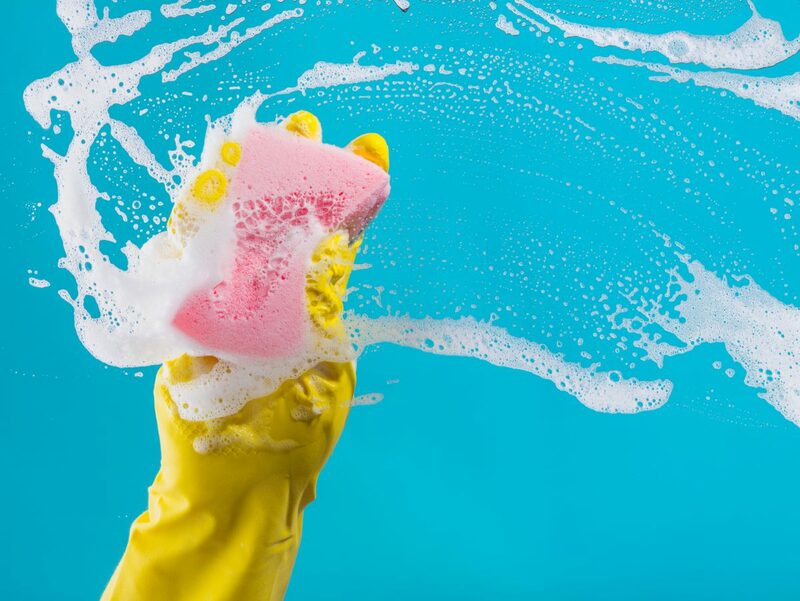 Wash the windows: Using a glass cleaner or one squirt of dishwashing liquid in a spray bottle with water, then wiping down using a microfiber cloth. Do this on a cloudy day which will allow you to see the streaks clearer. Vacuum away the dust: From cotton, canvas, and treated fabric blinds. Do this on a low setting with a brush attachment. Vinyl sheds can be wiped down using a damp microfiber cloth. Cleaning the walls: It may be a task you want to avoid but leaving them will be worse in the long run. First, you will want to dust your walls, then wash, rinse, and dry painted and wood-panelled walls. Tackle kitchen cupboards: Empty your kitchen cupboards, wash them down and proceed to declutter then reorganise. Cleaning carpets: Have your carpets cleaned professionally if needed. Check your wooden floors: Check if your wooden floors have any scratch or scuff marks on them, and enlist professional help. Test your smoke/carbon monoxide detectors. Replace furnace filter: Do this if you haven’t already done so within the past three months. Declutter and clean out the attic. Pinnacle Cleaning offers a variety of cleaning services in Birmingham to keep your environment clean and in top condition.